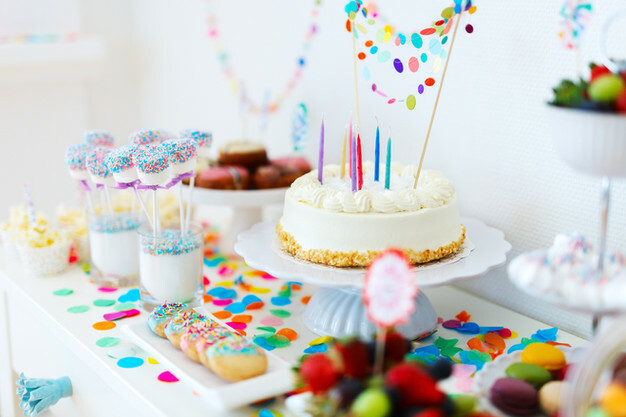 Planning and hosting a party can be a bit of a challenge, especially when you are at a loss of how to choose a theme, a colour scheme and put all of your decorations together. There is so much inspiration available to us at our fingertips these days, with the internet just bursting with stunning photographs of perfect-looking parties, everywhere. That's all well and good, but it can leave us feeling a bit intimidated...because we're not all Martha Stewart, right? But some help is here to help you plan and decorate a beautiful and successful party. 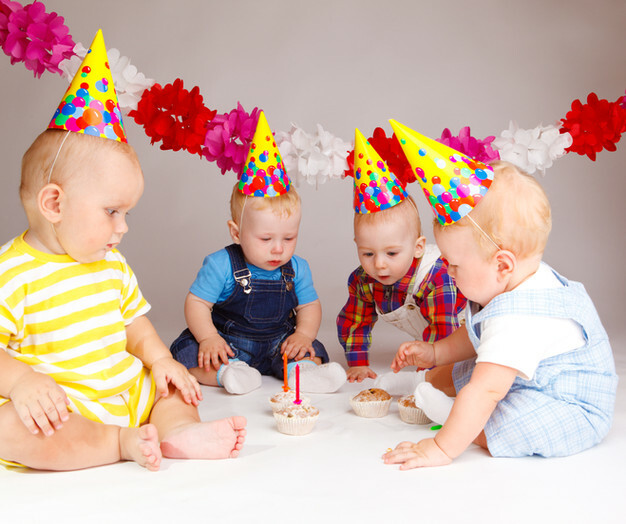 First, we launched our FREE Party Planner which contains 12 pages of helpful tips and checklists to help you on your way to a stress-free party plan, with some great party ideas. 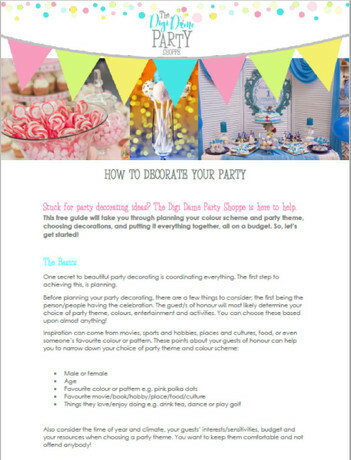 Now, we're launching our Party Decorating Guide which contains 14 pages of helpful tips, checklists and party ideas to help you decorate a beautiful party. 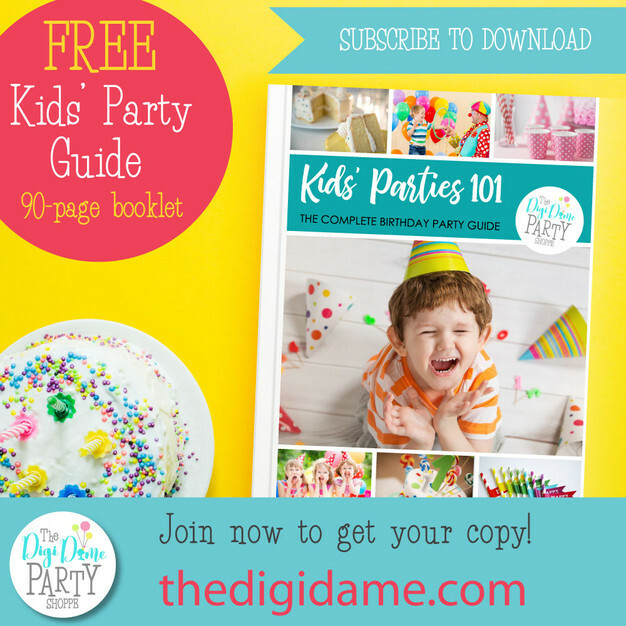 Get your FREE Party Decorating Guide now! Save to your computer, open in Adobe Reader then print! Then you can begin planning your party right away! When you join The DigiHood, you receive EXCLUSIVE content, instant downloads that are absolutely FREE, AND a 10% discount off every purchase. PLUS you'll be the first to access the latest Digi Dame news, with a monthly update directly to your inbox containing more free gifts and exclusive offers. Now that sounds like a hood worth joining, right? Absolutely. We hope this guide helps to make your party decorating much easier.